The contestant was paired with Cynthia Erivo for the duet round. 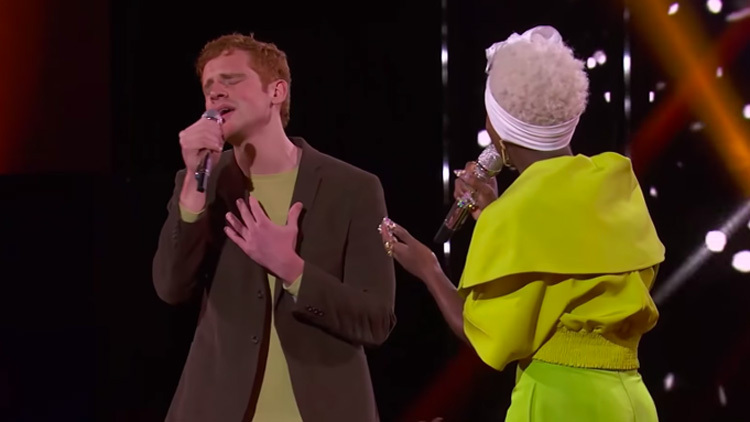 Fan favorite openly gay American Idol contestant Jeremiah Lloyd Harmon got the chance of a lifetime this week — and crushed it. Harmon grabbed everyone's attention from his very first audition, where he blew the judges away with an original song and talked about how difficult it’s been for him coming out as gay as a pastor’s son. Harmon has impressed every step of the way so far, and hopes to continue to be an inspiration with not only his voice, but his story as well, particularly to any young LGBTQ people watching.